The Raiders signed Nelson on Friday. Nelson (coach's decision) is inactive for Sunday's game at Seattle, Darren Urban of the Cardinals' official site reports. Analysis: Without Bruce Arians on the sideline, Nelson rarely was used under the new coaching staff, hauling in seven of his 19 targets for 64 yards in 14 games. With his rookie contract coming to an end, he'll enter the offseason as a free agent. Whether or not he returns to Arizona remains to be seen, but he may have to seek out a prove-it deal with any organization that explores what the burner has at this point in his career. Nelson (illness/personal) isn't listed on the Cardinals' injury report Wednesday, Scott Bordow of The Athletic reports. Analysis: Nelson was one of three Cardinals to battle an illness last week, but the wide receiver might have been due to receive Sunday's loss to the Rams off anyway following the birth of his child. With his health intact and personal time over, he's back and available to the receiving corps. Unfortunately, Nelson hasn't been in the good graces of the new coaching staff, earning just 19 targets in 14 appearances this season. Nelson (illness) is listed as inactive Sunday against the Rams, Darren Urban of the Cardinals' official site reports. Analysis: In a week in which he had a bout with food poisoning and experienced the birth of a child, Nelson will miss his first game since the 2016 season. 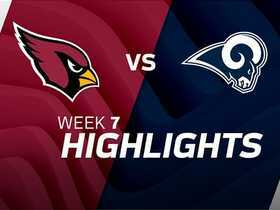 With Nelson sidelined, the Cardinals will trot out Larry Fitzgerald, Trent Sherfield, Chad Williams and Jalen Tolliver at wide receiver. Nelson (illness) is officially listed as questionable for Sunday's game against the Rams, Josh Weinfuss of ESPN.com reports. Analysis: Nelson did not practice Wednesday and Thursday due to an illness, but he was a limited participant Friday. If the depth wideout is able to suit up versus the Rams, he'll serve as the Cardinals' No. 4 receiver behind Larry Fitzgerald, Trent Sherfield and Chad Williams. Nelson didn't practice Wednesday due to an illness, Darren Urban of the Cardinals' official site reports. Nelson accumulated three catches (on seven targets) for 43 yards and lost five yards on his only carry during Sunday's 17-3 defeat to the Lions. Nelson failed to reel in his lone target during Sunday's 23-21 loss to Oakland. Analysis: Nelson has now failed to catch his only target in a game in three straight contests and failed to log a catch or a carry for the first time since Week 5. This, mind you, was against a middle-of-the-pack Oakland pass defense that had been picked apart this season. Things should get even tougher Sunday against a Chargers defense on a roll. Nelson failed to catch his only target during Sunday's 26-14 loss to Kansas City. 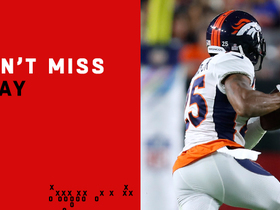 Nelson had an eight-yard run and was unable to haul in his only target during Sunday's 18-15 win over the 49ers. Analysis: The Cardinals have a new offensive coordinator, but the change doesn't appear to mean much for Nelson -- at least in the short term. The fourth-year target has more catchless games (five) than games with a reception (three) thus far this season and has reached double-digit total yardage just once this season. The Cardinals offense seems to be making small strides and has a favorable matchup coming up against a leaky Chiefs defense Sunday, but Nelson doesn't look to be a viable factor. Nelson compiled one rush for seven yards and two receptions (on four targets) for eight yards during Thursday's 45-10 defeat to the Broncos. Analysis: Benefiting from his most targets and first carry of the campaign, Nelson surpassed 10 yards from scrimmage for the first time in 2018. His production isn't even sniffing that of the first three years of his career under former coach Bruce Arians, who used the wideout's blazing speed to keep defenses honest. With a change from Mike McCoy to Byron Leftwich at offensive coordinator, perhaps Nelson can begin to approach his marks of 18.6 YPC and 8.5 YPT from before this season. Nelson (back) has been cleared of an injury designation going into Thursday's matchup against the Broncos, Darren Urban of the Cardinals' official site reports. Analysis: Nelson was able to log a full practice Wednesday after practicing in limited capacity Monday and Tuesday. The 26-year-old has two receptions for 13 yards through six games. Nelson (back) was limited in practice Tuesday, Darren Urban of the Cardinals' official site reports. Nelson wasn't targeted while playing two of 51 offensive snaps during Sunday's 28-18 victory over San Francisco. 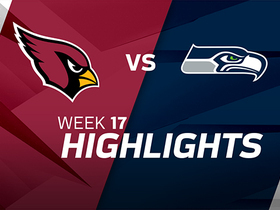 Nelson caught his lone target for a four-yard gain during Sunday's 20-17 loss to Seattle. 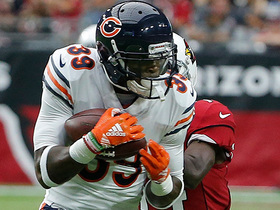 Nelson was targeted once but did not record a reception during Sunday's 16-14 loss to Chicago. Analysis: Sam Bradford looked deep for Nelson early in the third quarter, but he was picked off by Eddie Goldman. It was just the second time Nelson had been targeted this season. Little has gone right for the Cardinals' offense, and the emergence of rookie Christian Kirk takes targets away from fellow receivers such as Nelson. The bright side: There is little where else to go but up with rookie Josh Rosen taking the reins. A tough matchup against Seattle's top-10 pass defense looms Sunday. Nelson didn't bring in his only target during Sunday's 34-0 road defeat to the Rams. 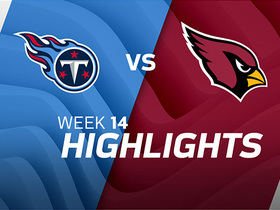 Nelson took the field for just one snap in Sunday's season opening loss to the Redskins, but head coach Steven Wilks indicated the Cardinals' big deficit effected the play-calling, Kyle Odegard of the Cardinals' official site reports. Analysis: It is unclear why a big deficit would be anything but helpful for a wide receiver, but it sounds like Nelson could potentially be in line for more snaps going foward. Still, he is fourth on the depth chart and not on any fantasy radar at the moment. Nelson has combined for two catches (on three targets) for 10 yards through two preseason games. Nelson is in the mix for the No. 2 wide receiver spot behind Larry Fitzgerald, Darren Urban of the Cardinals' official site reports. Nelson reeled in 29 of 61 passes for 508 yards and two touchdowns in 16 games during the 2017 season. Nelson snagged one of three targets for a 46-yard gain and added a seven-yard run during Sunday's 20-15 loss to Washington. Analysis: The game snapped an eight-game streak during which Nelson failed to total 50 yards in a game. He opened the season with two such performances in his first five contests, but he's struggled with the quarterback carousel and scope of his own role this season. 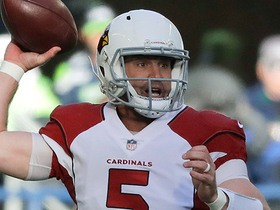 Don't expect the return of Drew Stanton to make things any better. In Stanton's two starts earlier this season, Nelson combined for two catches and 32 yards off six targets. Nelson gathered in two of three passes for 26 yards during Sunday's 12-7 win versus the Titans. Nelson (knee) is listed as active Sunday versus the Titans, Darren Urban of the Cardinals' official site reports. Analysis: Despite a generous 90 offensive snaps the last two games, Nelson hasn't profited from 12 combined looks from Blaine Gabbert, gathering in three for 56 yards. Nelson's opponent, the Titans, have allowed the second-fewest catches of 20-plus yards this season, but wideouts have accounted for 15 touchdowns against this unit, good for third-most in the NFL. Nelson (knee) is listed as questionable for Sunday's contest versus the Titans, Josh Weinfuss of ESPN.com reports. Analysis: The Cardinals placed limitations on Nelson's practice regimen this week due to a knee injury. His ability to take part Wednesday through Friday bodes well for his availability this weekend, but the potential exists for his status to come down to Sunday's 4:05 p.m. EST kickoff. Nelson (knee) was a limited participant in practice Thursday, Josh Weinfuss of ESPN.com reports. Analysis: One of three receivers on the Cardinals' Week 14 injury report, Nelson looks bound to avoid the inactive list Sunday against the Titans after turning in his second limited practice in as many days. Nelson's full participation Friday would likely allow him to head into the weekend without carrying an injury designation. Nelson was limited in practice Wednesday with a knee injury, Darren Urban of the Cardinals' official site reports. Nelson snagged two of eight targets for 42 yards during Sunday's 32-16 loss to the Rams. Nelson played 40 of the Cardinals' 73 offensive snaps during Sunday's 27-24 win against the Jaguars. Analysis: Targeted four times by current starting quarterback Blaine Gabbert, Nelson hauled in just one of them for 14 yards. Nelson has now tallied exactly one reception in four consecutive contests, during which his catch rate rings in at a woeful 30.8 percent. With far more misses than hits, the explosive wideout can safely be avoided with Carson Palmer (arm) out of the picture. Nelson (chest) doesn't have an injury designation for Sunday's game against the Jaguars, Darren Urban of the Cardinals' official site reports. Analysis: With John Brown (chest) ruled out and Jaguars cornerback Jalen Ramsey (hand) also potentially absent, Nelson finds himself in a decent spot for the first time since September. 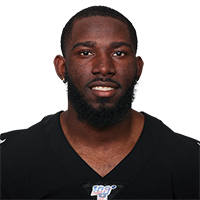 of course, a matchup with Jacksonville still looks quite tricky, and Cardinals coach Bruce Arians hinted that he may use Brown's absence to give rookie third-round pick Chad Williams some playing time. On top of all that, starting QB Blaine Gabbert isn't exactly known for taking shots down the field. Nelson (chest) was a limited participant at Wednesday's practice, Darren Urban of the Cardinals' official site reports. Nelson was targeted three times and caught one of them for 14 yards in Sunday's 31-21 loss to Houston. Analysis: It was the fourth time in five games in which Nelson was held to one or no catches for less than 20 yards. Nelson started the season off hot, with touchdowns in each of his first two games and at least three catches in four of his first five contests. Nelson saw the field for 29 of the Cardinals' 58 offensive snaps on Sunday, fourth among receivers. He is not a safe bet week to week. Nelson was on the field for 29 of 80 offensive snaps during Sunday's 22-16 defeat to the Seahawks. Nelson caught one of two targets for 15 yards in Sunday's 20-10 win over the 49ers. Analysis: Nelson has not done well as Arizona has transitioned into a pound-the-ball team under Adrian Peterson and Drew Stanton. He always had his highs and lows, but Nelson still managed at least four catches in three of Arizona's first five games. In the three games since Adrian Peterson joined the squad, he has just three catches for 54 yards. He's not worth starting untilhe returns to his early-season groove. 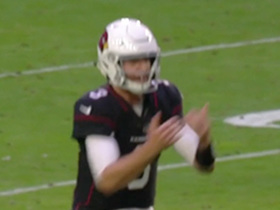 Arizona Cardinals quarterback Josh Rosen shows frustration towards wide receiver J.J. Nelson because he stops short on a curl route. 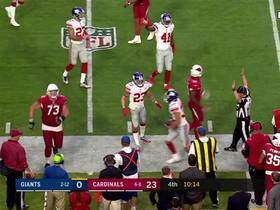 Denver Broncos cornerback Chris Harris Jr. intercepts Arizona Cardinals quarterback Josh Rosen for the Broncos second pick of the night. Chicago Bears safety Eddie Jackson intercepts Arizona Cardinals quarterback Sam Bradford on a deep pass attempt. The Los Angeles Rams travel to London and get a tremendous defensive performance and solid contributions from quarterback Jared Goff and running back Todd Gurley en route to a 33-0 win in Week 7 of NFL action. 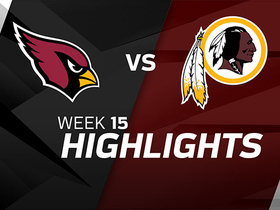 Washington Redskins quarterback Kirk Cousins throws two touchdowns and the defense comes up with five sacks, an interception and a fumble recovery to hold on for a 20-15 win over the Arizona Cardinals. 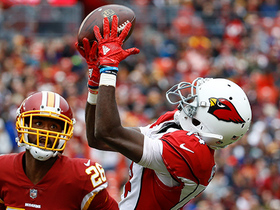 Arizona Cardinals wide receiver J.J. Nelson turns on the jets and burns cornerback Bashaud Breeland for 46 yards.